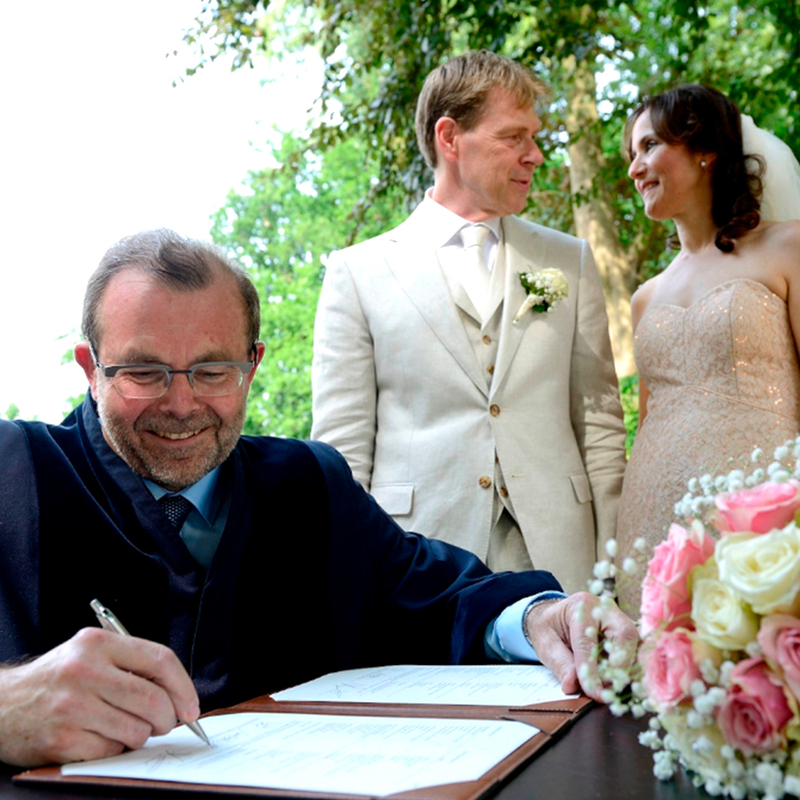 When we decided to get married, the city of Meierijstad appointed Harry Kobus to be our wedding official. Because of the appointment we had before, he did a very good speech about our lives that we and our guests really enjoyed. He even put in some jokes. The whole ceremony was in English, which was very important to us because of the guests we had from all over the world. This ceremony led by Harry was the start of a great day. Thanks a lot Harry, you did a great job! !